You’ve done the research, and you’re ready to become an internal auditor. But first, you have to pass the Certified Internal Auditor Exam. Whether you’re a seasoned exam taker, or this is your first professional certification, you can use these 10 tips to help you prepare for and pass the CIA Exam. Becoming a Certified Internal Auditor is different from becoming any kind of accounting professional, such as a CMA or CPA, and you’ll want to find a CIA Review course that reflects the position. You can use the Certified Internal Auditor Exam syllabus to help you get started, but ideally, you would find specific CIA Exam Review materials. Look for CIA Review course materials that match your study style and your budget. Ideally, the review course will be individualized, have plenty of multiple-choice questions in the test bank, have practice tests, and have good reviews. This will make your exam preparation much easier and more effective. You have two options here: go the old fashioned way and pencil out a study plan, or look for review materials that do the work for you. If you go the penciled out study guide plan, just make sure to account for weaknesses in your competencies. If one area is harder for you, plan to spend more time on it in your schedule. You can also skip this step and select a CIA Review course with a built-in study planner. Surgent CIA Review takes into account your strengths and weaknesses through its adaptive A.S.A.P. Technology™ builds a solid base for all CIA required knowledge. Because our course focuses on what you need to know versus what you already know, you can save a sustainable amount of study time as well. Sign up for a Surgent CIA Review free trial to see the Surgent difference for yourself! 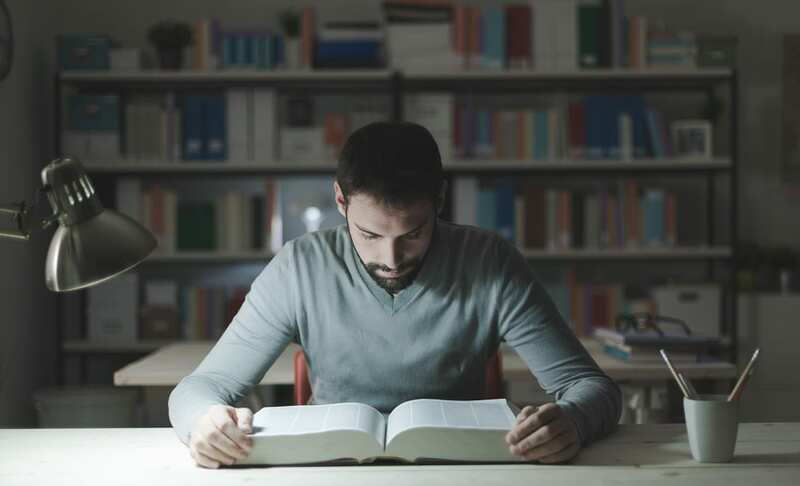 Studying for the CIA Exam is going to take up a lot of your time; the exam consists of three parts, and studying for each exam part can take months. Let friends and family know early that you’ll be using most of your spare moments for study time. This will put them in a good position to encourage your progress, and give you the space you need to study. Studying is a mental feat; if you want to come back to study sessions feeling refreshed, make sure to take plenty of study breaks. Plan these throughout your day, and consider taking one full day off per week where you don’t study at all. This will give your brain the break it needs to come back to studying prepared. Sitting for an exam can be even more nerve-racking if you don’t have a benchmark to give you an idea if you’ll pass each exam part or not. In the past, the general wisdom was to study hard and hope you were prepared on exam day. Now, there are tools in CIA review courses that can help you determine if you’re ready to sit for the exam. One of these tools is Surgent’s ReadySCORE, which gives you a real-time look into how you’re performing in all exam topics of the CIA Exam as you go through practice questions. The higher your ReadySCORE, the more likely it is you’ll pass the exam. Plus, Surgent CIA review offers a pass guarantee to ensure you’re getting everything you can out of the course. Before you even take your Certified Internal Auditor exam, you have to meet certain requirements. According to the Institute of Internal Auditors, candidates must hold an Associate’s degree or higher in order to be approved into the CIA certification program. You must submit official transcripts, or an equivalent acceptable document to prove you meet the education requirements for the certification program. You’ll also need to have a Character Reference form, which can be completed once you create your CCMS profile. To register for the Certified Internal Auditor Exam, you’ll have to complete a series of steps on the IIA website. First, you’ll need to create a profile in the IIA’s Certification Candidate Management System (CCMS). This allows you to apply for certification programs, register for exams, and keep track of your progress along the way. Second, you’ll need to apply for the CIA program. Third, you’ll need to upload the required documents within 90 days. Once everything is uploaded and approved, you’ll receive an “Authorization to Test” notification via email instructing you how to contact the Pearson Vue testing facility to schedule your exam. First and foremost, before you even sign up to sit for the exam, you’ll need to make sure you have an acceptable form of photo identification (such a driver’s license or passport). When you show up to the Pearson Vue testing facility, you’ll present this photo ID to verify who you are. You need to make sure your identification is permanent, has your photo on it, and isn’t expired. The testing facility will also ask for your signature so they can compare it to the signature on your photo ID. If you do not have an acceptable form of photo ID for any reason, you’ll be considered a “no show” to your exam, and your exam fees will not be refunded. You’ll also want to bring your Pearson Vue exam confirmation with you, in a paper document form. This allows the testing center to cross-reference your identification with the name on the exam. Now that you have all of your documents, plan on showing up to the exam center at least a half hour before your scheduled start time. This ensures you have time to do all of the necessary pre-exam steps, like checking your photo ID and storing your personal items, before your scheduled start time. When you show up to to the facility, you’ll be asked for your photo ID. Once approved, you’ll be shown where to put your personal belongings. You’ll then be provided with a copy of the candidate rules agreement, as well as any tools you’re allowed to use during the exam (you are not allowed to bring any of your own tools). You’ll sign the exam log before going into the testing room, and one of the Pearson Vue administrators will show you to your designated testing area. It’s also always a good idea to turn cell phones off, even if they are going to be stored in a locker outside of the testing room. Walking into an exam without knowing what the exam is going to look like can quickly throw a wrench into your passing plan. If the format is new, if you don’t know where your tools are, or if you don’t keep an eye on your time, you’ll likely struggle to get through the exam more than you would if the exam format was old hat. But how do you get familiar with the exam layout and format before you actually take the exam? If you have a good CIA review course, you’ll have practice tests that mimic the exam format and prepare you for test day. Pay attention to where any resources are located (such as a spreadsheet tool) and know where the timer is located. This will help you navigate through the exam easily and keep track of your time. Take plenty of practice exams beforehand to help you manage each section of the exam and the time format. This way, you’ll go into the actual exam fully prepared to pass. Now that you’ve finished the hard part, it’s time to put your experience to the test and gain the necessary education and work experience to become a licensed Certified Internal Auditor. If you have an Associates Degree, you’ll need 60 months of internal auditing experience or its equivalent in order to be eligible. If you have a Bachelor’s degree, you must obtain 24 months of internal auditing experience. If you have a Master’s degree, you must complete 12 months of internal auditing experience. However, you can bypass these requirements if you have completed at least 7 years of verified experience working in internal audit or its equivalent. Now that you’ve covered these tips for passing the CIA Exam, it’s time to dive into studying and preparing yourself for your dream career as a Certified Internal Auditor. Happy studying! Get started with Surgent CIA Review today!